This card is designed to be a self mailer, NO ENVELOPE NEEDED. 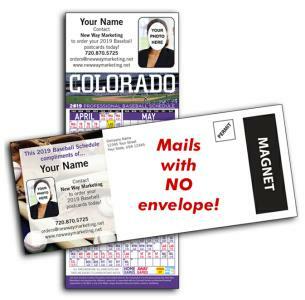 Self Mailer Schedules are 3½ x 8½ - Printed on a 12pt Card Stock. magnet strip on postage side of card.